Utah is famous for very low humidity and gorgous days of nothing but sunshine. The statewide average high temperature in July is near 80 degrees, while in January, a 30 degree high is the norm. Severe winter cold conditions do occur in the upper elevation of the mountains. Annual precipitation varies from less than five inches in Utah's Great Salt Lake Desert area, to more than 50 inches in the northern mountain ranges. 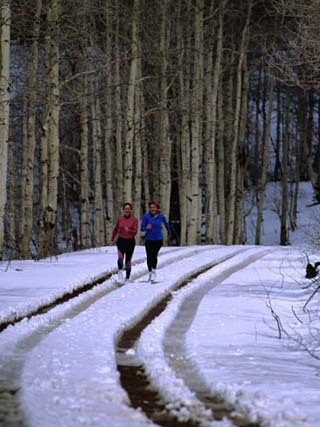 Snow frequently accumulates to depths of 10 feet or more at many Wasatch Mountain ski resorts. For a look at Utah precipitation levels, especially in the mountainous areas, view this precipitation map!